"Will virtual reality transport millions of us into an addictive world of make-believe?" So begins ABC News Nightline's 1993 report on virtual reality. Then Ted Koppel explains that he was pretty sure people would care a whole lot more about VR because of the VR-themed TV miniseries Wild Palms. Oops. Anyway, Nightline dives into a 20-minute report on the state of the art in VR, including a TV panel debate! 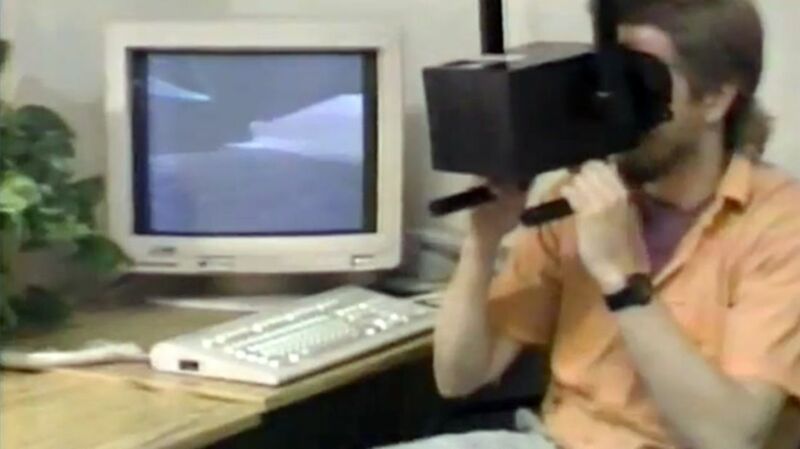 Also worth watching (and a bit more geek-centric): What Virtual Reality Looked Like in 1992. If you like books about VR, I strongly recommend Ready Player One.